So many books and so little time! A cliché but definitely the apt for me right now. With an ever growing book pile and dividing my time between writing, Writes4Women and Storyfest, not to mention family time and horse riding, I hardly seem to be making a dent in my TBR tower. I have managed to sneak some time for reading though, and here are my recommendations for Spring reading, in no particular order. And if you click on the links on the bottom of the post you’ll find more reviews from my writing buddies, The Writers’ Dozen. There’s something for everyone! I was lucky enough to read Rachael’s latest novel prior to its release and after just a few pages became totally immersed. The storyline centres around a wedding dress that connects the main characters, Rebecca, Paige, Josie and Clara. Covering a range of family and social issues, the plot unravels the knots binding these characters together and delves into both the positive and negative aspects of the choices they make. While some of the consequences do not lead to a happy place, each thread is well resolved and the story ultimately has a hopeful ending. 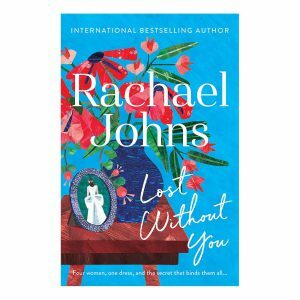 I thoroughly enjoyed Lost Without You, a great addition to Rachael’s collection of contemporary women’s fiction. 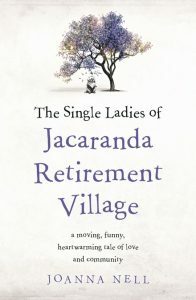 This title of this book pretty much sums up the story: single women dealing with the ups and downs of life in their twilight years. It centers around the two lead characters Pat and Angie, who are chalk and cheese. Pat is the more conventional, straight laced ‘beige’ widow while Angie is a fabulous fashionista who comes back into her old friend’s life after an absence of many years. 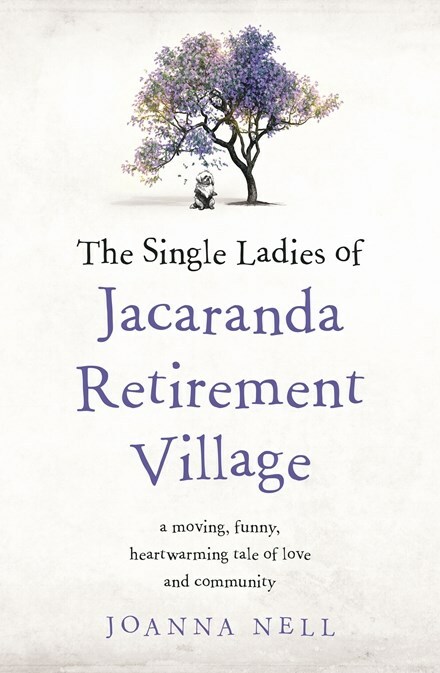 There’s a cast of wonderful supporting characters, moments to make you laugh and cry and a will-they-won’t-they romance thread that adds to both the humour and poignancy. A wonderful debut from an author I’m sure we’ll be hearing more from. Even though I’m not generally a crime reader, I’ve been wanting to try a Robotham book for years and this one didn’t disappoint. With two lead characters who couldn’t be more different from each other, this story kept me turning the pages as it drew me deeper and deeper into the secrets each of them was keeping. Robotham is an absolute genius at putting the reader into the shoes of each point of view character and creating empathy flaw them even though we know their flaws – or perhaps because we do. As each plot point developed the tension increased and I found myself sitting at the kitchen bench still reading when I should have been doing a million other things. If you’re looking for a stand-alone crime novel to sink your teeth into I highly recommend this one. 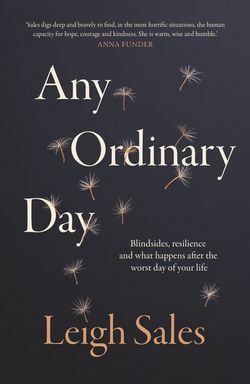 One of the things I’m interested in as a writer is having my characters overcome tough situations so this book, written by one of my favourite journalists, had instant appeal. After facing a traumatic life event Sales decided to investigate how a number of well known people from various walks of life dealt with similar situations and survived. There’s a bit more analysis in here that i was anticipating but then that’s not surprising since Leigh Sales is renowned for her probing interview techniques. 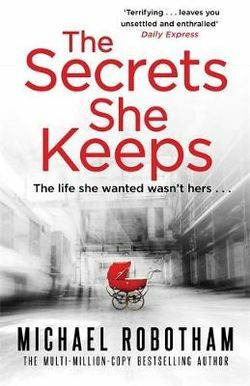 The conversations she has with people like Walter Mikac (whose family was sunned down in Port Arthur by Martin Bryant), Hannah Richell (who lost her husband Matt to a surfing accident in her early 40’s) and the parents of young cricketer Philip Hughes (tragically killed in a freak ball during a game) are the heart of this book. Despite the horrible situations these and other interviewees found themselves in which brought me to the verge of tears, the resilience they found within themselves ultimately leaves the reader with a sense of hope. A book that will leave you with much to ponder. Last but not least, the hotly anticipated book from Liane Moriarty. I’m a huge fan of Big Little Lies and loved The Husband’s Secret, was entertained by Truly Madly Guilty so I had this one on pre-order and read it as soon as I brought it home. The verdict? Mixed feelings. While some elements of this story were pure Moriarty there were other parts I found disappointing. 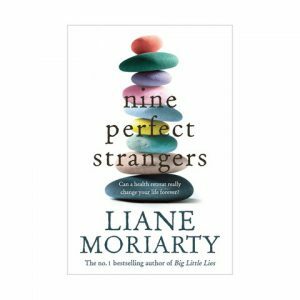 Putting nine strangers together in a health retreat run by a control freak had definite potential. The character of Frances, a 50-somehting romance author was brilliantly drawn and some of her lines had me laughing out loud. The story of the family of three devastated by the suicide of their son and brother was beautifully told and the differing reactions of the father, mother and their surviving child, a teenage daughter, believable and poignant. It was the character of Masha, the unhinged owner of the retreat who I found a little too much and some of her actions toward the end, for me, spoilt the power of the story-telling. I did love the way the storylines were wrapped up though and, while I didn’t adore it that way I loved BLL, it was a thoroughly enjoyable read. 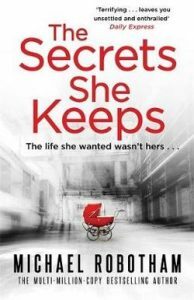 Check out what Rae Cairns is reading here (if you love crime you’ll love these recommendations). See what Terri Green is reading here (mystery, romance, history and more). Laura Boon has some great reviews here (contemporary and historical romance).